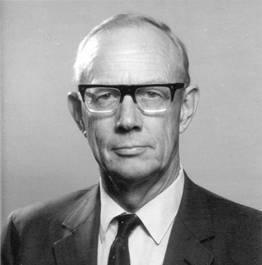 Frank Trask, Jr., (1913-1997) Chief Geologist of the Andes Copper Mining Co. and one of the principal developers of the El Salvador Mine. Photo 1959, Courtesy of MariLu Fines. This small publication is intended as a Memorial to my Father, Frank Trask, Jr., and to the many other people that participated in the discovery and development of the Indio Muerto (El Salvador) Mine. William Swayne was the Man of Vision who discovered the mineralization and deserves the greatest credit. Frank Trask, Jr. was the Man of Knowledge that measured and understood the ore body like no man had ever before understood one. His careful work provided the factual basis that was needed to make the most of the resource. Finally, Harold Robbins was the Man of Action that transformed this information into the huge and successful enterprise that it became. Each man in the chain was dependent on the other. Mr. Brinkerhoff and Mr. Koepel sat above them and guided the whole enterprise to a successful place in the world of mining. All of these men had a huge respect and friendship for one another, and these friendships were amongst my Fathers last thoughts. A portion of his ashes are scattered at Indio Muerto. Sometime in the last 5-700 years the first men arrived where the Indio Muerto Mine is today. There were, when I first saw the place on September 18, 1955, a whole series of rudimentary graves, dry masonry stone wall shelters, and “dog holes” scattered around the sole outcropping of copper mineralization over what later became the main ore body. These first arrivals were fairly advanced people. Quite delicate agate arrowheads, well made clay pots (both in shards), and good woven alpaca wool fabric were easy to find. So were human bones, which accounted for the name, Indio Muerto, or Dead Indian. The kitchen midden below the largest of these low stonewalls was of great interest. Vertebrae from various fishes, guanacos, loco shells, corn cobs, barley straw and other bits and pieces showed that they not only had a varied diet, but a complex and effective transportation system. The location is a good 150 kilometers from the ocean. Moving seafood over that distance implies a very quick transport system. I saw no hint of any Post Columbian artifacts there. The damage to the graves was certainly recent. There was no doubt about what these people were there for. Turquoise was a valuable semi-precious gem in Inca times, as it is today. There were many small “knapping piles” where people had chipped and worked at stone to extract larger masses of pure mineral. 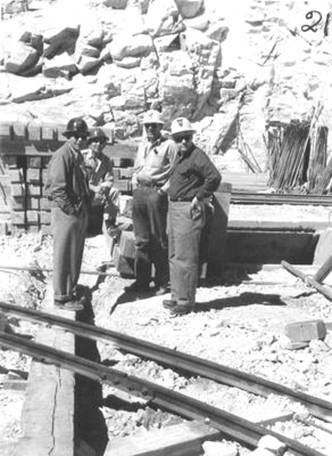 Jack Wiehaup, Al Rood, Bill Swayne, and (I think) Vin Perry, Turquoise Gulch, 1956. Main Coya ruin in background. Bill was the Man of Vision who found the ore body at Indio Muerto. My Mother and I spent the day mining about 20 kilos of reasonably good gem quality turquoise. She had purchased some gem polishing gear in New York on the way to Chile and was determined to learn how to produce small cabochons and like that could be mounted in jewelry. Dad and Bill Swayne spent the day clambering all over the mountain, inspecting old and new drill sites, and generally having geological fun. The picture above shows Bill Swayne with other people in front of one of the low stonewalls that were the principal Coya (Inca) ruin. This was taken around March or April of 1956. The first arrival of Europeans is difficult to sort out. Indio Muerto is a prominent peak, and its interesting and contrasting colors would certainly draw anyone with prospecting knowledge (bleached and iron stained rocks being a good idea) from a great distance to have a look. With the exception of the bits of turquoise, the mountains resources remained an enigma until educated, dedicated and experienced men could look at it. Charlie Rawlins found the earliest trace of European explorers that I know of. Charlie was an earthmoving boss that worked on the El Salvador construction. He came up with a cast piece of bronze, hinged in the middle with loops on both ends. It was certainly an archaic European bit for a horse’s mouth. He found it under 5-6 meters of gravel where the primary crushers were being installed. The whole area is a criss-crossing series of plastic mudflows that form a rudimentary alluvial fan or apron. The old Inca Trail passed directly uphill from where he found it. One could imagine a Spanish Conquistador (a land pirate is probably a better term today) leading a pack string of animals following the Inca Trail looking for easy mineral prospects. A lost bit from a pack animal would not be noticed until the end of a long day, and hard to find. One strong rain would be enough to bury it to the depth where Charlie found it. It is impossible to date except to say that it could have been somewhere between 1600 and 1900. In contrast, modern exploration in the area is fairly well known. Much of what follows is abstracted from an article that was written by Vin Perry, for many years Vice President and Chief Geologist of The Anaconda Company. Vincent Denis Perry was a modest, quiet and very courteous gentleman who was perhaps the greatest of the 20th Century Company oriented mining geologists, Reno Sales excepted. He served Anaconda in various positions for 50 years, and was instrumental in many things. It is not surprising to find him in the middle of the finding and developing of Indio Muerto. Leo Greninger, then Mine Superintendent at La Mina, described a prospect near Indio Muerto in 1922. He concluded that the tonnage possibilities were poor. Twenty years later, with the war driving the need for copper, a proper trip was made into the area. It must have been rough going. The zigzag road that goes from the bottom of the Quebrada Grande up to where the airport was had been installed for the construction of the La Ola pipe line in 1920. Beyond the flat airport area, getting a car anywhere would have been a rough venture. 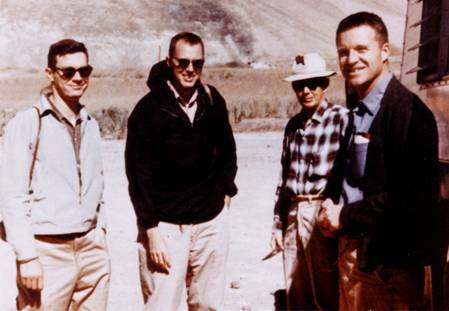 Walter March, (Chief Geologist of Andes Copper) E.F. Reed, Sam Watson, Jr., and Clifford Wendell (His assistants) made an exploration trip into the area in 1942. They denounced claims over the visible copper mineralization and recommended that further geological work be done. The interesting and critical thing here is that the advice was acted on. Walter March was the Chief Geologist, and he must get the ultimate credit for alerting people about possible mineralization. Two years later, in February 1944, the GREAT MAN HIMSELF, Reno Sales, accompanied by Vin Perry, and guided by Cliff Wendell made a brief visit to the area. What they saw was good enough for them to send Roland Mulchay and E.C. 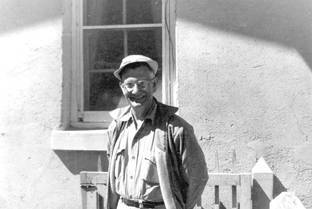 (Red) Stephens from the USA to spend a month in 1945 mapping the so-called Camp area, and the surrounding mountain. (Transport during WW II was difficult and had to be justified to the US Government) There is no record available to me of the results of this work, but their recommendations must have been positive. 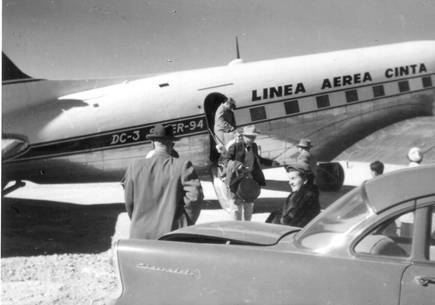 Vin Perry returned to Indio Muerto again in February 1950 for a day trip, accompanied by Bill Swenson and Ed Brinley of the Andes staff. There was a road of sorts into the area by this time, (probably put in for Roland and Red to use) and normal automobiles could make the trip, though very slowly from the Rio Sal on. They climbed the northwest slopes of Indio Muerto and went to the head of Turquoise Gulch. Vin writes that he was…” impressed with the geological structure, rock relations, and the character of mineralization and alteration in the leached capping”. For him to refer to the outcrop as a leached capping at that date shows that he believed there to be an ore body beneath it. 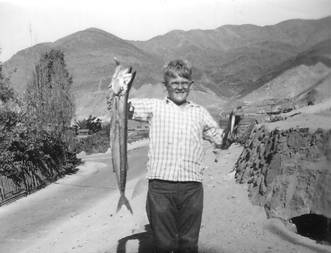 Vincent Denis Perry outside the Guest House, Potrerillos, April 1957 He has just seen the new internal ore reserve report of 375 million tonnes hence the great smile. In summary, he was a man of high intellect that was not afraid of other people having good ideas and giving people credit for those ideas. He had enough success in the bank to stand up to any reasonable criticism from the Board of Directors, and he used this. Mr. Sales also had these attributes, as did Bill Swayne, Frank Trask, Jr., (who was my father), John Hunt, and Lewis Gustafson. It was within this great liberal work atmosphere that Indio Muerto (later El Salvador) was discovered, developed and exploited. I am going to attempt to recount some of the high points of what happened in a rough chronological order. When I write in the active voice, I am recounting what my Father told me or my memory. For facts I am relying on a few old letters (I lost almost everything in a house fire in 1990) press releases, and articles in magazines of the day. If any one who reads this has corrections please contact me and I will be happy to put the true or more accurate version in. Further, if I miss out on anything others feel important, I would be glad to insert it. 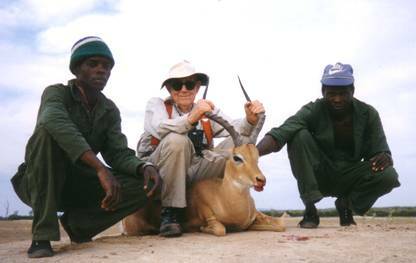 After making the trip with Bill Swenson and Ed Brindley, Vin went back again the next day with Bill Swayne. 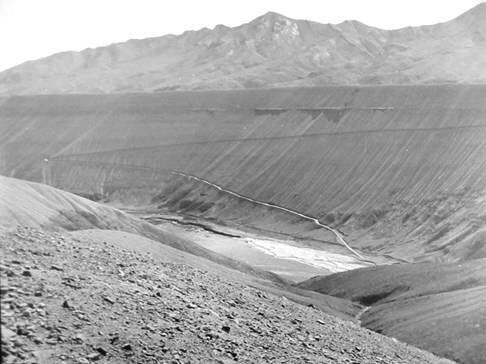 Bill was the Exploration Geologist for Chile, and based variously in Santiago and Chuquicamata. 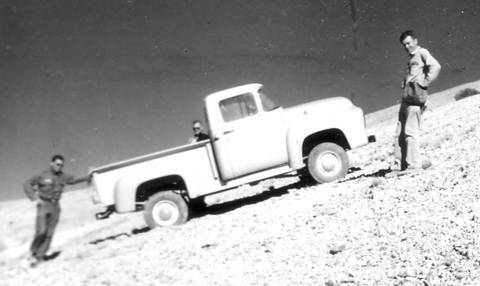 He had a modern 4 ton Dodge Power Wagon, slow as sin, but very capable of getting to all sorts of places. He and Vin drove out there early in the madrugada to see what they could see. Mr. Koepel, the General Manager at Andes, had organized a reception at his house for Vin that night, with the festivities to start at 7PM. Around 9PM; they spotted a set of lights coming over the hill on the other side of the Quebrada Grande. There were not many cars around in those days, so it was certainly Bill and Vin. They had climbed to the top of Indio Muerto and carried away by the elation of knowing that they had almost certainly found a major copper mine, lost track of time. They got caught having to come down the mountain in the dark, and navigate the rather rudimentary road back to Potrerillos. They arrived at the reception as the first people were leaving, and according to Bill, “got one or two drinks”. They were made very welcome in their field clothing. Some critical things had to be considered by Vin and Bill. 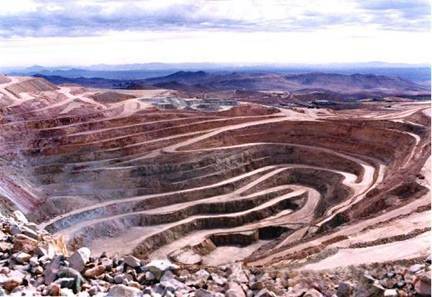 The first consideration was that the ore reserves and mine grade at Potrerillos were running down fast. There was probably no more than 7-8 years left. If Indio Muerto could not produce the goods, Potrerillos would die. Secondly, the Chilean Government had already suggested that death would not be a very welcome outcome. Fortunately, the shareholders of Anaconda felt the same way. 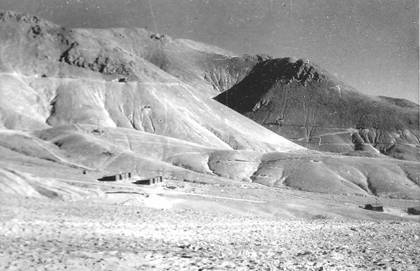 Between 1930 and 1937 Andes has kept a head grade of 1.8% Cu , and this had been steadily dropping down to as low as 0.8% Cu in 1955. 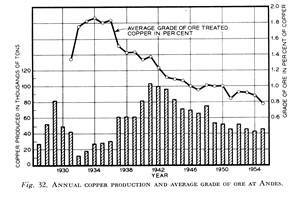 Copper production had peaked in 1942, with over 100,000 tonnes of copper for the year. This also declined down 50,500 tonnes by 1950, and by 1955 production was only 44,600 tonnes. This was the production from nearly 6 million ton per year. The good old days were gone, and things could only get tougher. Action was needed! 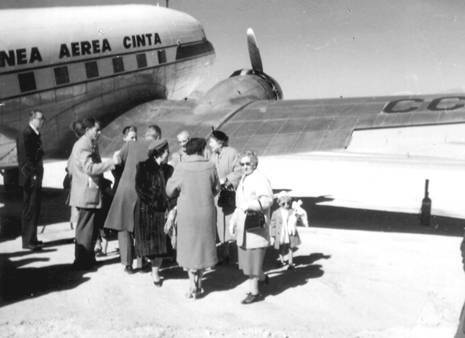 As a result of that trip Vin wrote a letter to Clyde Weed (CEO Anaconda) on April 28, 1950 recommending that the company take aggressive action in claim denouncement, exploration and development of Indio Muerto. Thus Vin Perry is the man responsible for recognizing that there could be an ore body there, and making sure that something was done about it. Bill Swayne was given the job of surveying and mapping the area. John Bain from the Andes staff initially helped him. The map was encouraging enough that drilling was approved in May 1951. He then hired Hans Langerfeldt, a Chilean geologist who had graduated from the Colorado School of Mines. 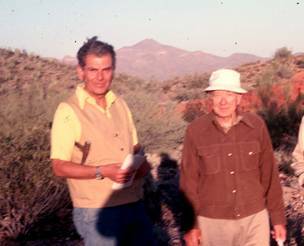 Hans was associated with Indio Muerto for 15 years, and claimed the record as the longest serving member of the Geology Department when he was transferred to Cerro Verde (Peru) in 1965. Drilling in the Atacama Desert was and is a difficult job. There were no contractors in the sense that we have them today. One purchased a machine (or borrowed it from an operating mine), hired the best men you could, and got with it. Every drop of water had to be carted over poor roads and hoarded. Bill Swayne told me many years later that he faced genuine hostility from the operations people at Potrerillos. There was simply no cooperation beyond what was absolutely ordered from New York, and that given only in the most grudging manner. Bill marveled years later that the actions to save the jobs of these people had met with such stiff resistance. I find this easy to believe and hard to accept. I can only conclude that the hostility was due to the fact that Bill did not report through the Andes structure, but direct to New York. All of these problems vanished like smoke when Mr. Koepel (General Manager) and Mr. Robbins, (General Superintendent) of Andes were later put in charge. View looking South East across M Gulch with Turquoise Gulch partly hidden. 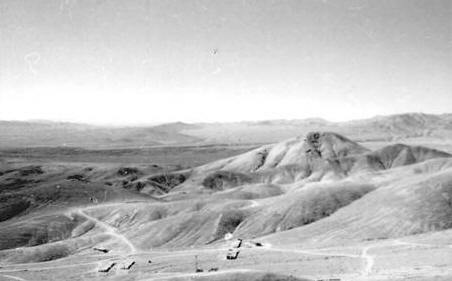 Drill roads and the start of sample adits can be seen, October 1955. The original Camp is in the foreground. Several small camarotes were built at the foot of M Gulch, a primitive cookhouse erected, and the exploration people lived there. The drilling went on at an agonizing slow pace. Two vertical holes at Turquoise Gulch got a thin layer of chalcocite and no real encouragement. Inclined holes did not do much better, with the chalcocite blanket being further under the higher portion of the mountain. Several holes in the area of the Camp got some minor primary copper mineralization, but nothing to set the world on fire. It was decided to shift the drilling to Swenson’s Knob, (Now called Cerro Pelado) a bleached outcrop a couple of kilometers to the east. Again, some traces of mineralization were found, but nothing that was going to replace Potrerillos. It was now April 1954, and things looked grim. There were only 4 or 5 years reserves at Potrerillos left now, and no replacement. Official histories simply recount that the drills were moved back into Turquoise Gulch, and important high-grade intersections made. Bill Swayne had been ordered, via post, to cease drilling after Cerro Pelado. He took the relaxed view that letters often went astray in that primitive communication environment and he had at least 2 to 3 weeks where he could plead ignorance. One real advantage of no phones was that Clyde Weed was certainly not going to call that night! The drills were moved back to Turquoise Gulch contrary to direct orders. A bulldozer had been procured, and Bill was able to push and drag the drills to a much higher elevation, over the ore body. All of the expense was in the drill sites, not the drilling. Success redeems all sins, and this rebellious action soon officially became a wise directive from above. Thus the geological credit moves on also. 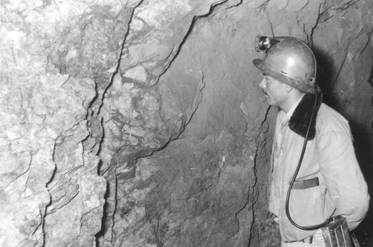 Bill Swayne deserves the credit for the discovery of the El Salvador ore body. True, Vin Perry had placed him there, but he also put in 4 hard years of work under primitive conditions. His enthusiasm and character never faltered. He was the Man of Vision in this project. In the end he disobeyed direct orders to get the job done right. Bill was very different to Mr. Perry. He was an extrovert, a man amongst men, and a person one could liken to an adventurer of old. He was also a very well educated and considered thinker. These and many other fine qualities made him one of the most attractive men to work for that I have ever known. Years later as a very junior geologist in the Anaconda Company he asked me to go to a hard and remote job in Australia. I joined a team that had the independence and the backup to make the job a success. In 1969 I found a major nickel ore body, something that could have replaced El Salvador, but by that time the Board of The Anaconda Co. was being populated with what my Father called The Muttonheads. Only now, 35 years later is the Yakabindie mine being developed, and by other people. I will speak more of The Muttonheads later. Drilling started in some earnest under the direction of Bill Swayne. He hired more geologists, notably Blaine Wiseman and Gene Wheeler. Both were junior men who were taken on to log lots of core. When my Dad arrived on September 1, 1955, there were two or perhaps three diamond drills and some churn drills at Indio Muerto. There was a small geological office that was really a shack, a few camarotes or bunkhouses, and a pretty rough cookhouse. 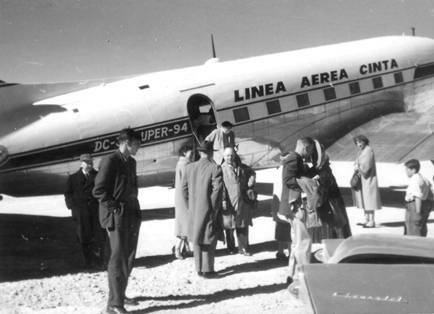 There was no one there over the weekend of September 18, as all had decamped to Copiapo or Potrerillos. The raw sewerage (not septic sewerage) that drained from the cookhouse had the most amazing collection of flies sitting on it that I have seen to this day. This includes 35 years in the Australian outback. Indio Muerto was a pretty rough place. Dad’s arrival coincided with a real change in the pace of things. Bill Swayne had a lot of other work to do, some of it centered on politics. I do not know the exact date, but know that he addressed the Chilean Congress around this time on Indio Muerto and the need for copper exploration and new tax laws in general. Dad was left with the work! In a very few weeks the usual quiet of The Andes Club got a rude shock. A whole unmanageable crew of diamond drillers from Quebec and Butte had arrived. There were a few family men among them like Cecil Mason and Roger Forget, but most of them were wild single lads. These guys really picked up the output of drilling. 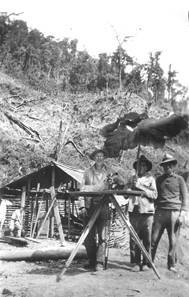 Rupert (Pappy) Johns, an old Andes stalwart was put in charge of churn drilling at the same time. Dad and his men were stretched to capacity simply handling the core physically. I cannot remember any of the names of the Chilean people on the staff that did the hard work of lifting, labeling, splitting, sampling and storing the core, but there was a goodly number, and they were hard, cheerful and valued workers. A huge number of samples were sent off daily to Potrerillos for copper and molybdenum determinations. Another visible sign that the pace was picking up was seen on the streets of Potrerillos. New cars and trucks were arriving on almost every Grace Line ship. At the end of November 1955, a press announcement was made in New York that indicated reserves of 78 million tons of ore at 1.66% Cu. Before Christmas I made a day trip to Indio Muerto and can remember Ernie Lucero, Joe Novak, Harold Robbins, my Dad and the geology crew at lunch. One or two small adits had either been started or were soon to be started. Harold Robbins, Ernie Lucero, Joe Novak, and Herbert Weed (A snowbird from New York), Early development work, El Salvador, 1958 Photo courtesy of Alan Robbins. Because of the steep nature of the topography it was possible to drive adits right into the side of the mountain to sample the ore. It was also planned to do a lot of diamond drilling from these adits. I have been critical in my adult life about what happened next, but after studying references available (Old copies of Engineering and Mining Journal, etc) in common literature; I have come to understand what went on. The above ore reserve (78 million) was thought to be it. Plans were made on this being right, so it was important to minimize the investment. Pick and shovel gangs started to prepare a grade from the bottom of the Quebrada Grande to put a railroad into Indio Muerto. The initial plans called for the construction of a meter gauge rail to Indio Muerto, and the establishment of a 25,000 tonne per day mine and coarse crushing plant there. The old concentrator at Potrerillos was to be modernized and expanded. The ore was to be hauled by train for 15.5 miles, and dumped at the top of the grade above what I have called Quebrada Grande, but is also called Pasos (Pastos on some maps) Cerrados in various press releases. The fine crusher was to be installed at the bottom of the Quebrada, and a 3-mile conveyor belt was to take the ore to the old mill at Potrerillos. This was to cost $53 million, about the original capital at Potrerillos, and extend mine life for 10 years. It was also going to put in a good profit for 10 years. This railroad grade and conveyor grades was started on about 7 or 8 different levels, and the work continued at a furious pace for about 3-4 months. Then all stopped. I wondered for much of my life what great management blunder had allowed all of this work to be done to no avail. What had really happened were more ore reserves. Dad and his gang kept working away on drilling, and the results were phenomenal. By August 1956 they had internally reported 180 million tonnes at 1.7% as proven, and another 150 million as probable. This can be contrasted to the whole production from Potrerillos being around 181 million tonnes for a copper recovery of 1,576,700 tonnes. This is 0.88% Cu, contrasted with an average copper content of 1.19%, or a total metallurgical recovery of only 74% of the copper from ore mined. Most of this poor record came from the early oxide and mixed oxide ores, but it shows what can happen to a resource. Kep (Mr. Norbert Francis Koepel) was dispatched to New York in August 1956 along with Bill Swayne, my Dad’s boss. I remember the day well, as it was the last time I saw my Mother. I was on the flight with them as I returned “home” to go to High School. Kep took his wife with him, and the two of them rated the first class Pullman beds on the Panagra DC-7. The new ore reserves were presented to the board, and this changed the whole project in the most drastic manner. All of the remedial measures and plans were put on hold, and major construction companies like Parson-Jurden contacted. Mr. Koepel and Bill Swayne made a dramatic return to Potrerillos two weeks later, with the new and final plan of action in hand. The whole senior staff of the ACMC turned out at the airport to welcome them and their future back. This was the true future of Potrerillos arriving back in style, and it deserved a proper welcome. It was a mandatory dress up affair as the photos taken by my Father show. Bill Swayne leads the party off the plane, September 1956. Bill Bennett facing plane. Norbert Koepel with Marion Koepel on stairs. By December of 1956 public announcements were made expanding reserves to 200 million tonnes Cu proven at 1.6%. It was about this time that the name Indio Muerto disappeared and the name El Salvador started to be used. The Savior was a good name, with strong religious overtones, and having the ring of absolute honesty from the Board in it. It was the savior of Potrerillos and The Andes Copper Mining Company. Marion Koepel looking a bit amused. As can be seen, it was a dress up affair at 2 in the afternoon. From this point forward, the development can be split into two parts. 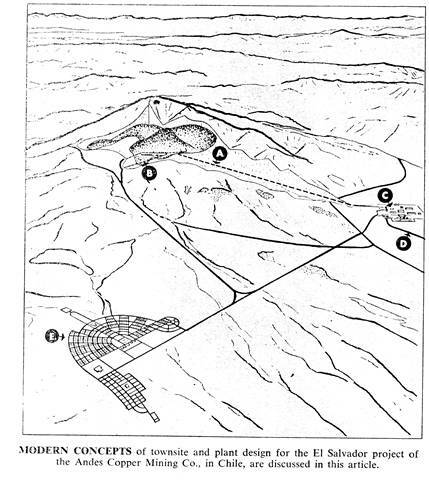 First, there was the development of the new mine. The Andes Staff handled this in house. A number of people were seconded from Butte and elsewhere to help with the preliminary design work, but by and large, Harold Robbins was allowed to get with it under his own terms. Harold Robbins became the Man of Action who physically made the mine happen! The construction of everything else was handed over to Parsons-Jurden. 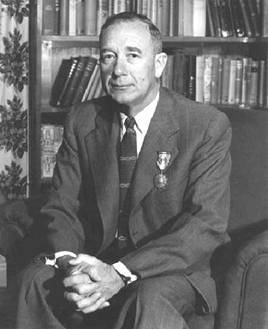 Wilbur Jurden had been responsible for the design of the copper plants at Potrerillos, Morenci, the Chuquicamata Sulphide Project and Yerrington. He was a natural choice to design and construct the new concentrator. The specifications were changed to 24,000 tonnes per day and a moly plant was added. The design and construction of a new town, associate road works, sewerage works (that I worked on the construction of in the summer of 1958), concentrate pipe to Llanta, dewater facilities, tailings dams, etc was all left to Parsons. 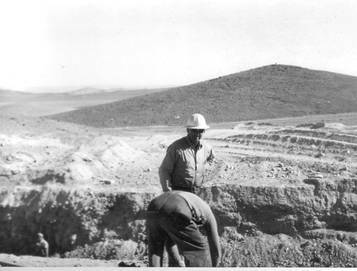 By April 1957, internal reports had the ore reserves up to 375,000,000 tonnes of 1.5% Cu, something like twice the old Potrerillos mine with a much better grade. Some child! 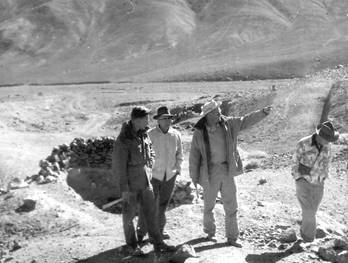 The first big project that the mine had to get out of the way was the Inca Adit. This was driven at the 2400 meter elevation on the southwest side of Indio Muerto immediately in front of where the crushers were to be installed. 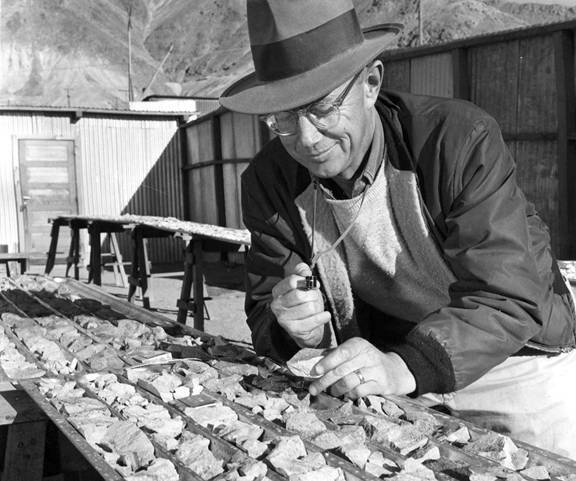 Chief Engineer of Andes, Mud Couse, setting the grades on the Inca Adit, March, 1957. The Old Inca Trail went right past this spot, hence the name of the Adit. The actual location of the blocks was the other major project. My Dad was busy on this and other problems when a personal disaster struck us. My Mother, who had been a long-term cancer patient, contracted pneumonia and suddenly died on April 23, 1957. The final drilling effort was in place to sort out the best location to put the blocks in. This was vital, as the actual development had to be underway at least 18 months before real production could be achieved. At the end of his vacation Dad came through the New York office in late August of 1957. Charlie Brinkerhoff, who was by then President elect of the organization, called him into his office. He was told of Kep’s promotion to Vice President of Anaconda and his pending departure from Potrerillos. Dad also was told how much Kep had appreciated the good work that he had done over the past two years. Charlie then asked Dad how much my mother’s death had cost him. Pop estimated the cost of the funeral and vacation, and Brinkie made out a personal check for him. It was most of a years pay, and a lot more than he had spent. He said to consider it a bonus for work well done. Over 25 years later when Anaconda was a faltering wreck, and these fine men long dead, Dad maintained a fierce loyalty to that organization and to the shade of Norbert Francis Koepel. A Mine Geologist is in a special position on a Mine Staff. The business of mining is to get rid of ore reserves. The Manager has only the capital allotted to him to accomplish anything, and his only asset in reality is the ore reserves. The Board can certainly allot new capital to change things, but the Geologist is the only one who can add on assets. The quality of that asset is equal to the quality of the work that has been done in establishing it. Many mining companies did and still do treat their geological staff with contempt and poor recognition. (They get contempt and poor work back.) The Anaconda Company was not one of these. We can pause, as in the old sagas, and recount some of the critical things at Indio Muerto up to the start of the mine. • Walter March recognized that copper ore could exist at Indio Muerto and used his reputation to recommend something be done. • Vin Perry acted on this, and recognized that a large leached capping was in place. He assigned Bill Swayne to map and test the place. • Bill Swayne went beyond normal expectations with a heroic effort under the most difficult of conditions to become the true discoverer of El Salvador. • Frank Trask, Jr. with his capacity for meticulous work and high standards for ore reserves and geology did what was perhaps the world's best ever job of ore reserve calculation and data storage. He was the Man of Knowledge for the El Salvador project. 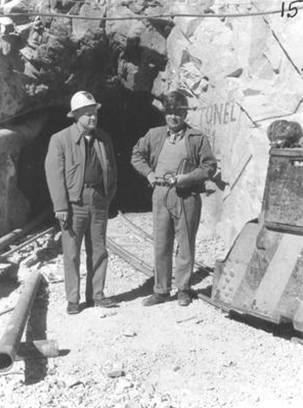 He also provided excellent services to the operating mine for many years and supervised a top world class Geological Research Lab at the same time. Frank Trask, Jr. 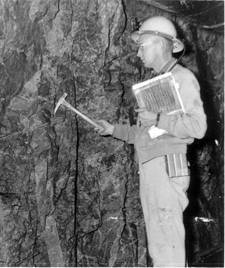 Underground on the 2710 Level, April 6, 1957 with the tools of his trade in hand. This was two weeks before my Mothers death and exactly 40 year to the day before his. A witness (Bill Kramer) described to me an important meeting that took place in the Geological Office at El Salvador. Mr. Brinkerhoff was leading the discussion, and it was in late 1957 or very early 1958. (Old Chilean hands will all remember that the visits increased when the weather in New York became really nasty) The question was, where to cave the first block? The geological plans and cross sections were out on the table. The major part of the mines staff was there, led by Harold Robbins, Henry Dunstan and Tom Dudley. Charles Brinkerhoff called himself the “King of the Block Cavers”, and this was probably right. Charlie finally selected an area, and asked Dad what the copper grade would be if the first block were put there. Dad retreated to his desk for several minutes, and came back with the announcement that it would be 2.08% Cu when pulled. Several years later when I happened to be home, the question was put as to how good his prediction was. Dad collected all of the mill head data for the period, and calculated out that it was 2.00% Cu, received wet at the mill. He then called up Bill Mitchell at the Mill and asked what the moisture content for the period was. The answer came back at 3.5%. (The mill scale measured wet tonnes, not dry tonnes.) Since the reserves were in dry tonnes, the mill head grade had to be altered. The calculation raised the grade to agree exactly with the prediction. There was at the same time a whole hidden argument amongst the staff about the basic mining method that should be used. There was a portion of the reserves known as the “M Gulch” deposit that was suited to open pit extraction. Many on the staff felt that this portion, which could never be mined by block cave, and was very high grade, should be mined first with an open pit. In fact, if Indio Muerto were to be discovered today, the whole deposit would certainly be mined as an open pit. There were a number of reasons why an open pit was not selected. When the decision was made, in 1957-58, open pit mining equipment was just making the transition from trucks that did not work very well to trucks that did work very well indeed. People were not sure where things would end up, even though there was a strong faith in manufacturers getting things right in a few years. The facts of the matter were that one could not capitalize the stripping of a giant ore body based on costs that may or may not be right. Secondly, to even breathe the word open pit was political poison in Chile at the time. 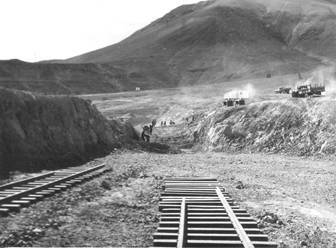 Chilean politicians were concerned with preserving the jobs of the miners at Potrerillos. This was a proper stance for them, as Chilean citizens, to take, and it gave Anaconda an easy decision to make. Lastly, it would have probably taken $US220 million, contrasted to $US130 million and at least 2 more years to develop the mine. My Father and Harold Robbins (and many others) argued long and hard, behind very closed doors, for a separate pit at “M Gulch”. It would have had the effect of raising the grade and cutting the costs to 20-25% for the first three years of the venture. Their idea was to finance the development of the mine out of this small pit. Mr. Brinkerhoff, who liked the open pit idea, also had to face the political reality of the situation, and it did not happen. The idea was not wrong, as the photo below proves. I hope that what I write from here on does not ruffle any feathers, and I hope that it is accurate. I am relying wholly on what my Dad told me in later life, and would welcome comments from the many people that were present. The very first block to be caved was done using wooden supports on the levels, raises and grizzly points, and was identical to the practice used at Potrerillos. It soon turned into a nightmare. Once the pillars were turned and caving started, the draw points systematically started to fail, and no tonnes came out. Harold Robbins personally took charge with a hand picked crew and started to replace the damaged draw points with concrete. Over a period of some months he not only saved the block, but also was producing more ore than the rest of the mine with only 10 or 12 men. Concrete draw points immediately became the standard and the mine very quickly came up to expectation and stayed there. Dad told me about the next trip that Mr. Brinkerhoff made. He said that it was always a pleasure to go under ground with Brinkie, since you could see the cares of running the Anaconda Company fall from his shoulders. In a few minutes he was back in his old position as the King of the Block Cavers, asking, suggesting, praising and admonishing when needed. It might be called relaxation therapy in this day and age. When this inspection was done, all repaired to the Guest House for lunch. Mr. Brinkerhoff called for a drink before lunch, and this was something very unusual for a man who was normally almost puritanical. He proposed a toast to Harold Robbins and another to Frank Trask, and added, “I always knew that concrete draw points would be the answer at El Salvador”. If he had known, he could have saved a lot of time and trouble by telling someone! 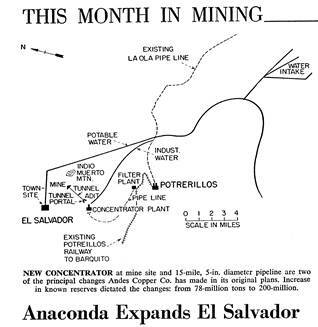 El Salvador became an important source of dividends for The Anaconda Company. It repaid its capital many times over before it was nationalized in 1971. Dad told me many times that this was due to the skill, wisdom and hard work of Harold Robbins. When the Chilean Government gave him the Order of Bernardo O’Higgins the medal was well placed and hard earned. There is a photo (included below) on the www.LosAndinos.com web site that shows Harold after he got the medal. It reveals a slim, almost young looking man for the cares that he managed, looking very happy and satisfied. He looks like a man that has been thanked for doing a good job, and he knows in his heart that he did a good job. Vale Harold Robbins!! I would like to see someone write up a short “Life and Times of Harold Robbins” so that the life of this remarkable man could be shared with us all. This is a public challenge to David or Alan. A number of other things were done right at El Salvador. I worked in the concentrator between June and August 1969. The concentrator had only just started and a large group of people from the Metallurgical Research branch in Anaconda were there. I was put to work gathering samples for them to study the distribution of lime and the pH variations in float cells. I was fortunate in being able to learn a lot about flotation mills that summer. I missed out on the languid vacation life and dancing of the kids over at Potrerillos, but I got a start in my Professional life out of it. I cannot remember the management structure at the time, but Joe Kuchs was my immediate boss. Joe took the praise for the 95% copper recovery (and 50% Cu concentrate) fairly lightly. He said that it was the result of having good ore to work with. Contrasted to Potrerillos, where there was a large tonnage of oxide and another tonnage of mixed oxide-sulphide, El Salvador presented a clean chalcocite blanket with almost no oxide mineral present. The much higher grade plus the extra 20% recovery certainly made the place go. Potrerillos had $55 million capital invested, and repaid $27 million over 29 years plus the capital. Less than 2% return on capital per annum. The real culprit was the US Government, followed in part by the Chilean Government. The high-grade ore and the big tons were taken out during WWII, with the prices controlled by Washington. There were no profits. The Chilean Government got screwed out of taxes and other benefits during this period. They then took over the sales of the copper in the early 1950 era, with disastrous results not only for the mines but themselves. Later this was changed for special tax laws that gave them good shares of profits above a certain return. This was a better model, and Harold Robbins really got his medal for being an endless source of real cash. John Hoffman, who was by then VP-Mining for Anaconda had come to El Salvador for a visit. He had gone underground, came out for lunch, and had died of a massive heart attack. Dad describes the despair and gloom that spread through the mine and camp. He was scathing of the funeral service that was held a few days later. He then addressed the problem of the companies (Anaconda as a whole) future. With the early deaths of John Hoffman and Tom Campbell he could not see where the next set of top leaders was going to come from. Charles Brinkerhoff was set to retire, and all Dad could see on the horizon were people that he called The Muttonheads. His predictions came all too true with the appointment the following year of C. Jay Parkinson as President. This weak and ineffective leader started the decline that saw the loss of the company. He addressed the Board. One of the members was a Donald Kennedy who had been Secretary of the Treasury under JF Kennedy. He told the rest of the Board, “Gold is only at $35 per ounce because the US Government supports it and keeps it there. If the government were to quit supporting it, it would fall to $10 per ounce or less, and I speak as an economic expert, and know these things.” Six years later gold was at $800 per ounce, and companies like Anglo American and Newmont that had positioned themselves were in clover. Anaconda was in bankruptcy. The ascendancy of The Muttonheads was complete. Bill Swenson , Sam Watson Jr. , Clifford Wendell , Edward Brinley , Hans Langerfeldt, Blaine Wiseman, Eugene Wheeler, Frank Trask, Jr. , Jack Wiehaupt, William Kramer , Alvaro Souviron, Garki Duif, John Pryor Hunt, Lewis Baines Gustafson, Rodger Ekstrand, Lee Cranfield Ranford (Anaconda Australia), John Profitt, Hector Gallo, Luis the Thin section man. View from Potrerillos to the NW, looking at the North wall of Quebrada Grande. The road goes to the Airport (on the flat mesa), Indio Muerto and also La Ola. The railroad into Potrerillos is the dark line on the north side of the Quebrada bottom. The septic sewer from Potrerillos can be seen disappearing on the lower right hand side. 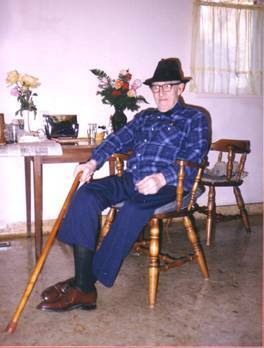 Ferdinand Libenow, The Grandfather of Potrerillos just before his death in 1993, California. This was Ferd’s Christmas card for the year, where he wished my Dad and his “Large Family” every happiness. 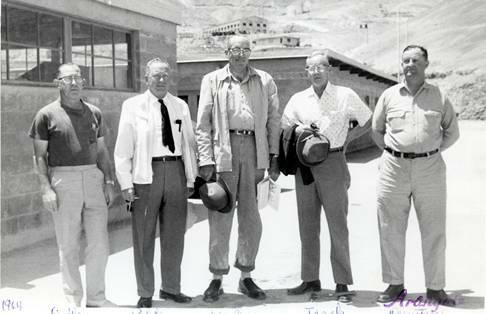 L-R Tom Dudley, Assistant Mine Superintendent, Harold E Robbins, Assistant Manager, El Salvador, Richard Newlin, VP Mining, Frank Trask,Jr., Chief Geologist, and William Henry Dunstan (Cara Wawa) , Mine Superintendent, 2600 Level, El Salvador, Chile, 1964 Photo courtesy of Alan Robbins. Cerro Pelado or Swenson’s Knob, from the ridge between M and Turquoise Gulch. October 1955 Photo Frank Trask,Jr. 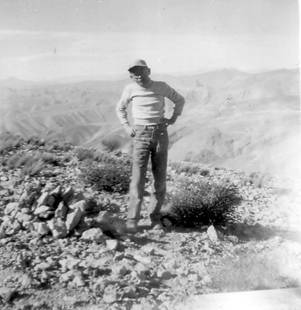 Hector Gallo, ACMC Geology Department. 2710 Level Indio Muerto, April 6, 1957. Photo F. Trask,Jr. Jack Wiehaupt, Bill Swayne, and Gene Wheeler, where the pickup gave up! On Indio Muerto, April 1956 Photo F. Trask,Jr. Herb Weed and Harold Robbins, 2710 Adit, Indio Muerto. Photo courtesy of Alan Robbins. Frank Trask, Jr. and Survey Party, Macuchi, Ecuador, 1937 Note the umbrella!